Sports journalists who excelled in covering the 2018 TNM Super League are set to be recognised and rewarded during a gala to be held at Sunbird Mount Soche Hotel in Blantyre Saturday. This follows completion of work by an independent panel of judges who were appointed to determine winners in various media categories. TNM Public Relations and Sponsorship Manager, Limbani Nsapato, said the panel has submitted results to the sponsor. “We are pleased to announce that the stage is now set for TNM to recognise outstanding sports journalists of the 2018 Super League season. This season’s awards are unique in that we have deployed a new format emphasising on quality reporting. It is the first time for an independent panel of judges to be engaged, and the first time the awards are being presented separately from club and player accolades,” Nsapato said. He said the objective of changing the format is to promote excellence in sports journalism and recognise outstanding work based on a battery of criteria focusing on high quality reporting. Nsapato said seven outstanding journalists in categories of print, radio, television, online, commentary/ columns, photojournalism and television camera will each receive a cash prize of K200,000. This means TNM will splash K1.4 million on the media. The winners have been selected after rigorous scrutiny by an independent panel of judges comprising two journalism scholars from The Polytechnic, a constituent college of the University of Malawi, and an experienced editor. 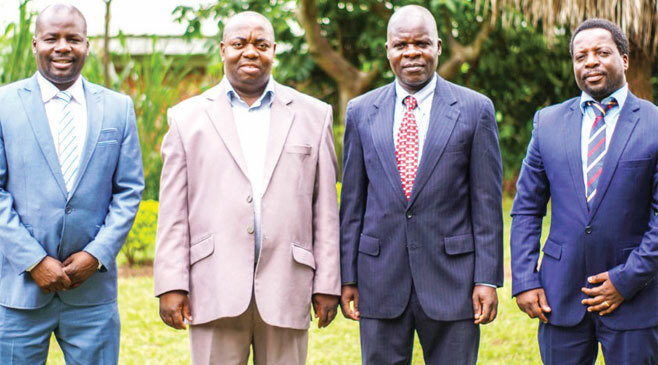 The judges—Ellard Manjawira, McIan Kanyan’gwa and Centre for Solutions Journalism Executive Director Brian Ligomeka—have been sitting in Blantyre between January and February 2019 to determine the winners. Work of the independent judging panel was coordinated by TNM Plc’s advertising and public relations agency, FD Communications, which acted as the awards secretariat. Manjawira, who is the Chief Judge, expressed satisfaction with the quality of entries submitted by the journalists. “We are satisfied with the quality of submissions assessed in this contest. We are grateful to TNM—the sponsors, through their agency FD Communication—for trusting us with the responsibility to adjudicate these awards,” Manjawira said. The presentation ceremony for teams, players and officials took place last month at Crossroads Hotel in Blantyre.